Deep Earth Asset Depository - Mba Fabrication Inc. The worst thing you can do with a painting is hang it on a wall. On December 20th, 2015, Arthur McDonald was awarded the Nobel Prize for work published in 2001 proving that subatomic particles called neutrinos have mass. Interestingly, McDonald’s lab wasn’t located on the leafy campus of a prestigious university, but deep underground in a functioning nickel mine in Northern Ontario. It turned out that the extreme isolation offered ideal experimental conditions that could not be found anywhere else on earth. The year before, at a conference in the Netherlands, McCaw listened in horror as museum professionals recounted the challenges of preserving the masterpieces of western civilization. Their concerns revolved around one little-known fact: in spite of appearances, oil and acrylic paintings never completely dry. Laser displacement analysis (LDA) had proven that gravity is relentlessly tugging at the painted image, slowly drawing it toward the bottom of the canvas. Soon after returning home, McCaw read about overlapping programs of incentives for entrepreneurs with ideas for repurposing abandoned mines in Northern Ontario. He wondered if the isolation that made Arthur McDonald’s experiments successful could play a role in sheltering irreplaceable works of art. He was excited to discover that the targeted region, part of the Laurentian Plateau, is one of the two most geologically stable places on earth. A proposal quickly took shape. Mba Fabrications Inc. would create an ISO Class 4 ‘cleanroom’ facility deep beneath the surface of the earth. Paintings purchased from the company would be stored there in copper lined drawers as they increased in value. After an extensive search, it was determined that the old Princess nickel mine near Lake Wanapitei would be the perfect location for what had come to be called the DEEP EARTH ASSET DEPOSITORY. McCaw knew, however, that fine art consumers often expect to enjoy the visual aspects of their investment while waiting for financial gains to accrue. Mba Fabrications Inc. would offer therefore clients a 3D ‘clone’ of their stored painting to display. Recent advances in scanning and printing technologies allowed for the precise capture and reproduction of the micro shadows that create the illusion of three dimensionality, producing copies indistinguishable from their originals. McCaw was surprised when focus group research revealed that clients were troubled by the prospect of never seeing their original painting in person. That’s when the concept of the Visitor Centre was added to the DEEP EARTH ASSET DEPOSITORY plan. After an entertaining company introduction and a thorough safety orientation, guests would descend by high-speed elevator to a climate-controlled Observation Theatre with comfortable seating, beverage serviceand on-site DJ. 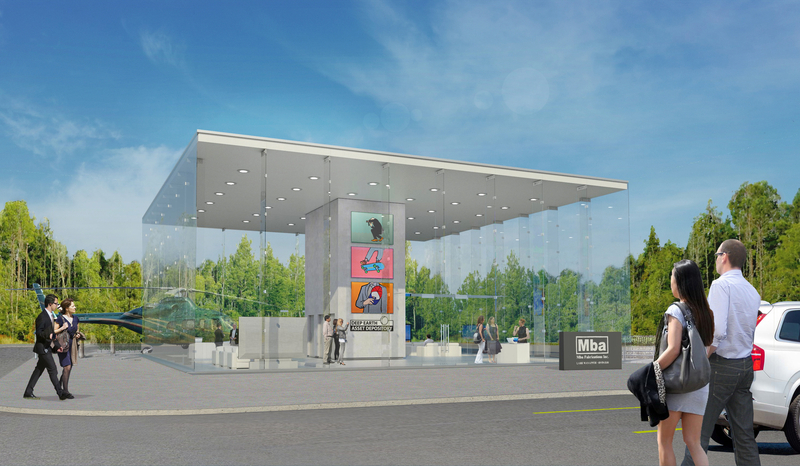 Construction is expected to begin in the autumn of 2018, with the grand opening slated for April 2021. 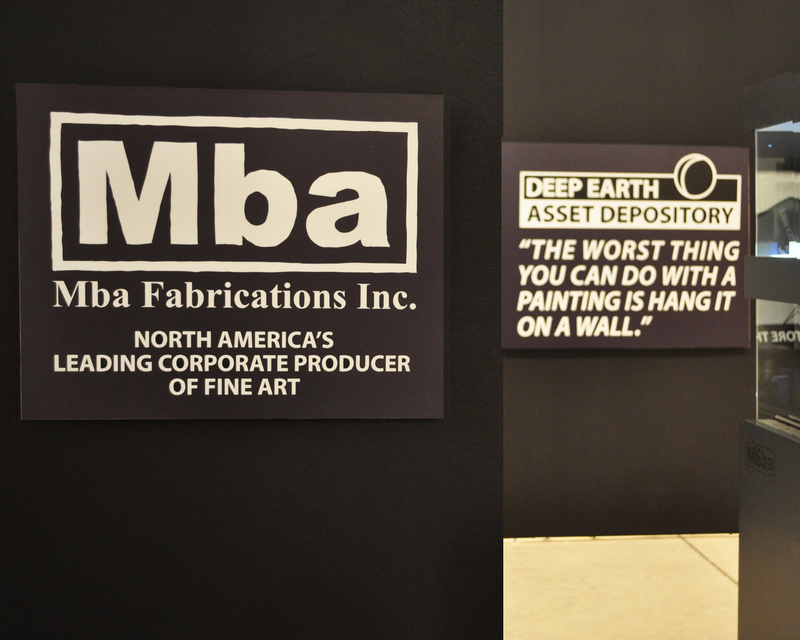 In themean time, all buyers of Mba Fabrications Inc.’s paintings have the option of advance purchasing perpetual storage rights at the DEEP EARTH ASSET DEPOSITORY (including annual no-charge visitations for the first five years) and a 3D ‘clone’ of their investment to be displayed at home.